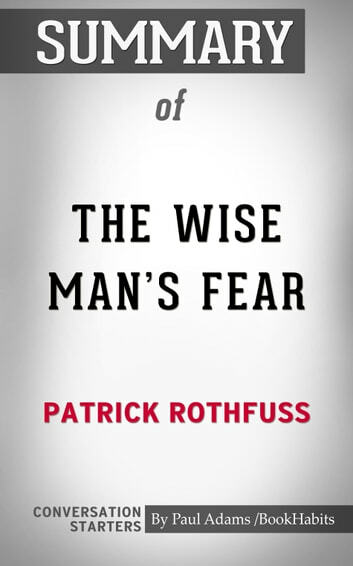 The second of The Kingkiller Chronicles trilogy, The Wise Man’s Fear, picks up from where The Name of the Wind left off. In this book, Kvothe continues his study at the university for a second year but has to leave midway when he courts a scandal. He serves at the court of a nobleman, foils a murder attempt, chases bandits, meets the Fae people, and trains in martial arts with the Adem. When he returns back to the university after his travels, he is a changed man. In the meantime, things are happening in the current time as well, and Kvothe seems to have lost all his remarkable powers, while Bast has assumed full control of the Chronicler. How does the past narrative tie up with the present? 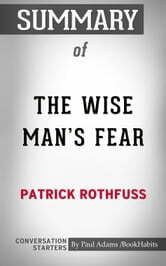 Disclaimer: This book you are about to enjoy is an independent resource to supplement the original book, enhancing your experience of The Wise Man's Fear. If you have not yet purchased a copy of the original book, please do before purchasing this unofficial Conversation Starters.